Another birthday had come round and it was St Albans that was at the top of my list for a weekend break in England. I really wanted to go because of the history associated with the town. There is a typically English feel to the town. One of the first things we came across was the historic market that is held every Wednesday and Saturday. At the end of the market were Morris dancers entertaining the crowd next to the clock tower. The following day we climbed the 93 steps of the clock tower to take in the views of the town and countryside beyond. 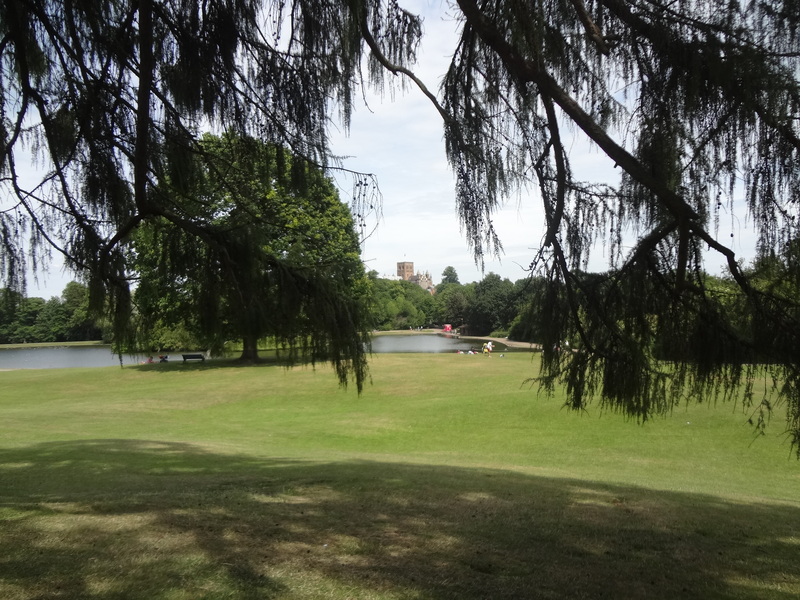 Verulamium Park, named after the Roman city of Verulamium is a wonderful area of green space. It was busy on the weekend we visited because of the good weather. It’s such a large area of land with so much to do it’s not surprising so many people visit. The lake dominates a decent portion of the 100 acre parkland, with a children’s splash park at one end and tennis courts, volley ball courts and crazy golf nearby. As well as football pitches and large areas of grass to play or relax in, there’s a lot of history in the park too. 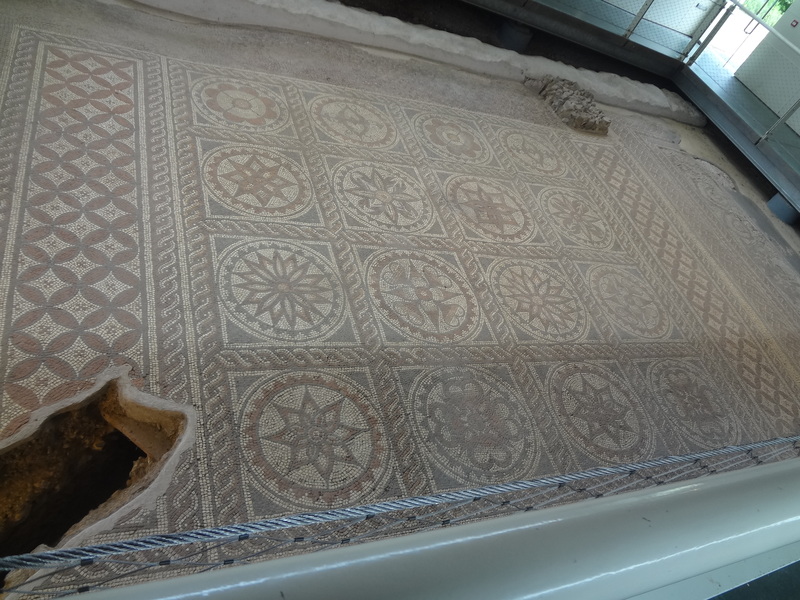 There’s a Roman mosaic, which is beautifully preserved and free to see in a little building at the top of the park. There’s also a Roman wall that stretches a fair distance along one of the main pathways. If you’re after more history of the Roman kind then there’s the Verulamium museum which is also a part of the park. 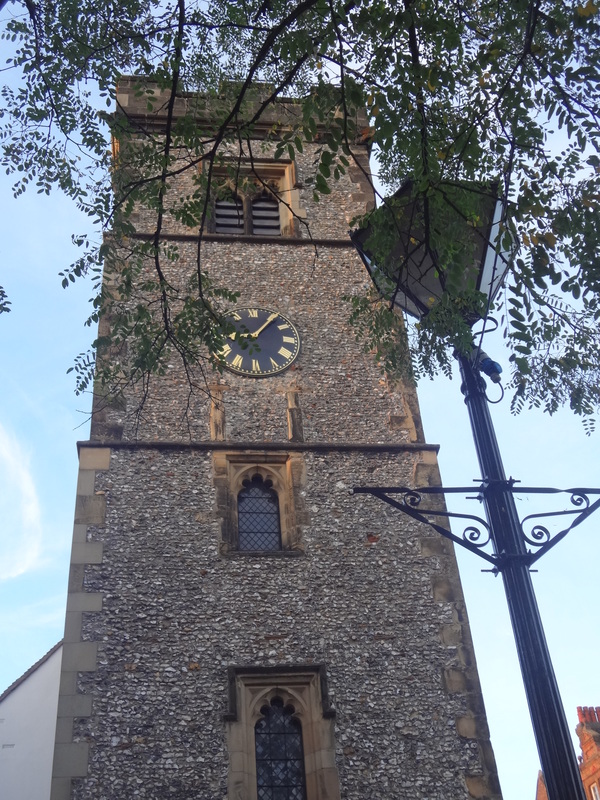 It is £5 for adults to enter and though small has an interesting array of mosaics and 2000 years of history about the town. Just a short walk from the museum is the Roman theatre, unique in Britain, as it was built with a raised stage rather than as an amphitheatre. It would have been used more for festivals and dramatic performances than for combat. It cost £2.50 to walk round it and was a lovely sight to behold. I would have loved to have been able to stand in the centre of it, but sadly that is off limits. But a great view can be had by walking around it and taking a seat on one of the benches to take in the history of the site. There’s plenty more on offer in this historical town such as it’s great cathedral and St Peter’s church. The latter is a quiet haven next to a busy road that looked popular for office workers on their lunch breaks. However, St Albans has more to it than it’s history. There’s plenty of shopping to be done at The Maltings shopping centre or you can keep it old school at the historic market. There’s a lot of nice places to eat for a smallish town and if you’re after a nicely priced hotel in a great location then you can’t beat the Premier Inn located close to shopping, restaurants and the market.